Do you have an aging parent or loved one who lives alone? Do you worry something might happen to them and no one will be there to help? 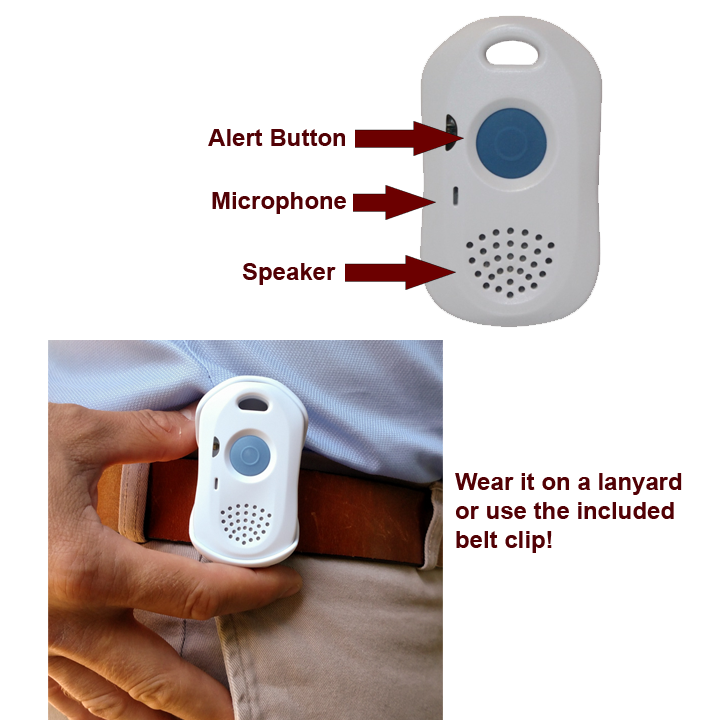 A personal emergency response system for seniors from Towne Monitoring Service can put your mind at ease. With just a quick press of a button, a senior can communicate with a live, well-trained operator who can take the appropriate action based on the situation. What Is a Personal Emergency Response System and How Does It Work? A PERS unit is a small pendant that seniors can wear around their neck, wrist or on a belt. When an emergency occurs (falling, sudden illness, home invasion, etc.) the individual can press the button on the pendant and initiate a conversation with our operator. Depending on the model, the communication occurs through the pendant or a console. If necessary, the operator can dispatch first responders immediately or get in touch with designated individuals to inform them of the situation. What Happens If the Senior Is Not Able to Speak or Is Too Far Away From the Console? It’s possible that a sudden illness or accident may limit the individual’s ability to communicate verbally. And while our Personal Emergency Response Systems are equipped with powerful microphones, situations may occur when the senior can’t be heard. When the button on the pendant is pressed also transmits an alarm to our live operators so we can notify the designated first responders immediately. Which Unit Would Work Best For Me? Coverage is nationwide. Communicate directly through the small lightweight two way voice pendant. Excellent for individuals that are aging in place, but still on the go! No Landline – No Problem! What Is the Method of Transmission for Our Personal Emergency Response Systems for the Elderly? We offer Personal Emergency Response Systems that are compatible with landline telephones as well as Voice over Internet Protocol (VoIP), cable and cellular formats. All our units deliver clear, two-way communication between the senior and our Souderton, PA Operations Center. 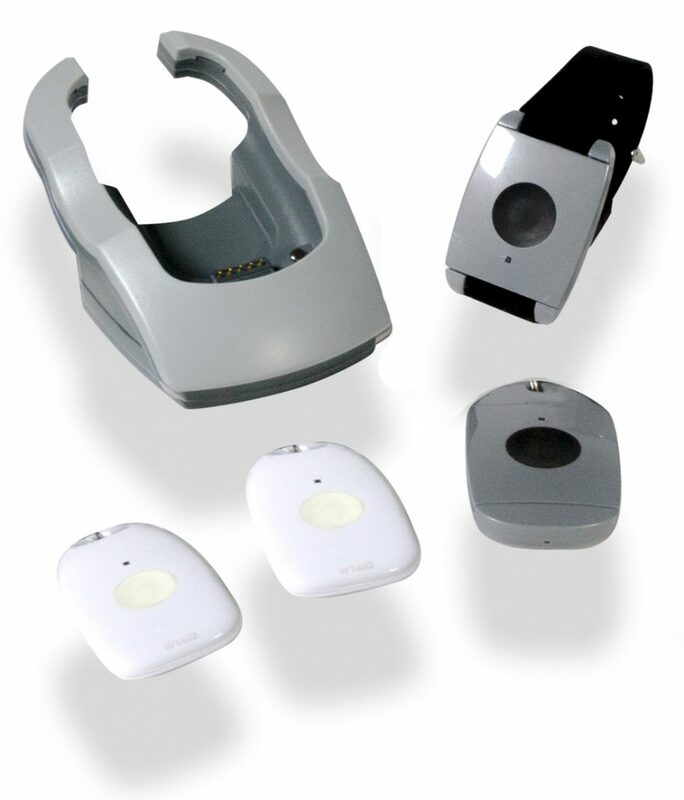 Our personal emergency medical alarm pendants are also water-resistant, enabling seniors to wear them while showering. They also include battery backup to ensure continuous operation during extended power outages. Who Else Can Also Benefit From Personal Emergency Response Devices? If you’re a home healthcare provider, our personal emergency response devices for the elderly enable you to deliver a higher level of care to your clients. You can use them to monitor medical conditions and respond to inquiries regarding medications. If you operate an independent living facility, our systems can help your staff monitor your residents more efficiently. Why Choose Towne Monitoring Service? Towne has been providing a seamless integration of people and technology to our customers in Bucks County, Pennsylvania and beyond for more than 65 years. We take the responsibility our customers trust us with very seriously. You’re assured of receiving a high-quality, reliable personal emergency response system for seniors backed by comprehensive support from our professional operators and other monitoring service experts. If you’d like to know more about how a personal emergency response system can protect your loved ones, give Towne Monitoring Service a call at 877-392-6450 today.